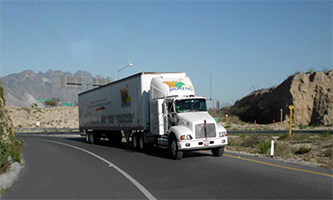 Moving to Saltillo Coahuila | Moreno International. More than 35 years moving families to Coahuila! If you are moving to Saltillo or nearby city of Ramos Arizpe, and need an experienced and reliable international moving company in Saltillo providing: door to door high quality moving services, free quoting, English speaking, free in home inspections, expert Mexican customs clearance services without your being present at customs, having international moving company partners in The US and Canada then Moreno International is the answer. Long established for more than 35 years performing international moving in Saltillo, we guarantee quality services. Contact us and compare. We are most happy to serve you. Receive friendly and experienced personal attention in English, no answering machines wasting your time. We provide expert information on Mexican customs clearance, because if you don´t your shipment will be detained at customs, losing what you paid for the move and even risking confiscation and extra expenses. At Moreno International we guide you step by step from beginning to end, and if any problem happens we are here in Saltillo to help solve it, and this is a big advantage from booking your move in another country. Plan your move ahead of time is our best international moving to Saltillo advice. Saltillo, a city located in Northern Mexico, is distinguished as the capital of Coahuila de Zaragoza, one of Mexico’s 32 states. As of 2015, Saltillo counts with more than 910 thousand residents living in its metropolitan area. It is known to have excellent road systems, which include multiple ramps and bridges, and a highway that allows people to cross the city from North to South without any stoplights. Saltillo stands at 1560 ft. above sea level, with an average temperature of 17 °C. Over the last few years, Saltillo has been part of many new industrial projects such as Parque Centro, Edificio Insignia, and Distrito V, which have made investors see the potential that this city has. Dozens of museums such as El Museo de los Presidentes Coahuilenses, Museo Capilla Landin, and the Museo del desierto, considered to be one of the best natural museums in all of Latin America. Cathedrals, chapels and churches can also be found in this city, such as La Catedral de Santiago Apostol, la Capilla de Santo Cristo, and la Iglesia del Santo Cristo del Ojo del Agua. Saltillo also provides a fun nightlife, where you can enjoy places like the Area 52, Perla Negra, Lux, and the Prive. If you are a big fan of Mexican food, or any type of good food, you can find good quality restaurants all over the city. El Meson Principal, Don Artemio, Los Pioneros, Broxton Burgers, and La Vaca Argentina, are among the places that you must visit in this city. Sport fans, in case you did not know, Saltillo is home to professional baseball team Saraperos de Saltillo, but the majority of the people in Saltillo vouch for the Santos Llaguna professional soccer team. Saltillo may be small, but it has multiple good public and private school where you can enroll your kids. Good private schools include Liceo Freinet, Instituto Cumbres, Instituto Fernando Montes de Oca, Colegio Americano de Saltillo, and the Instituto Tecnologico de Estudios Superiores de Monterrey en Saltillo, a prestigious high school with a direct connection to one of Latin Americas best colleges: Instituto Tecnologico de Estudios Superiores de Monterrey. Saltillo has been involved in the industrialization of cars over the years, having multiple companies settle in this city. Companies such as General Motors, Chrysler, Magna, and Grupo Industrial Saltillo are among the companies providing services and jobs to the people living in this city. Saltillo is viewed as a potential city to invest in, due to its capacity to grow. Parque Centro is a project beginning in 2016, that will provide schools, offices, homes, hotels, health, and jobs for the people in the city, and it is projected to take over four years to build. Nice places to live in Saltillo, that include Las Cumbres, La Nogalera, La Palapa, and Ramos Arizpe, which is a place you want to consider if you love working near where most companies are located.